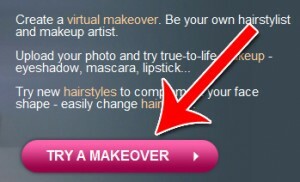 Taaz is a 100% free virtual makeover website. They use a very advanced Flash graphical user interface. All you need to do is upload your photo, teach the program where the face in the photo is, then you’re off to the races. 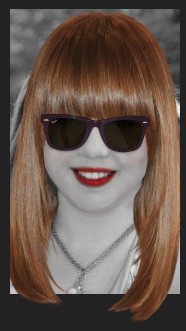 You can use Taaz to test hairstyles, lipsticks, sunglasses, eyeliners and a whole lot more. Here’s how to use Taaz. Step 1: Signup Though you can use Taaz without an account, you need to create an account in order to upload your own photo. Otherwise you can only use Taaz with a preloaded photograph. A Taaz account is free. Click “Try a Makeover” on the home page to get started. 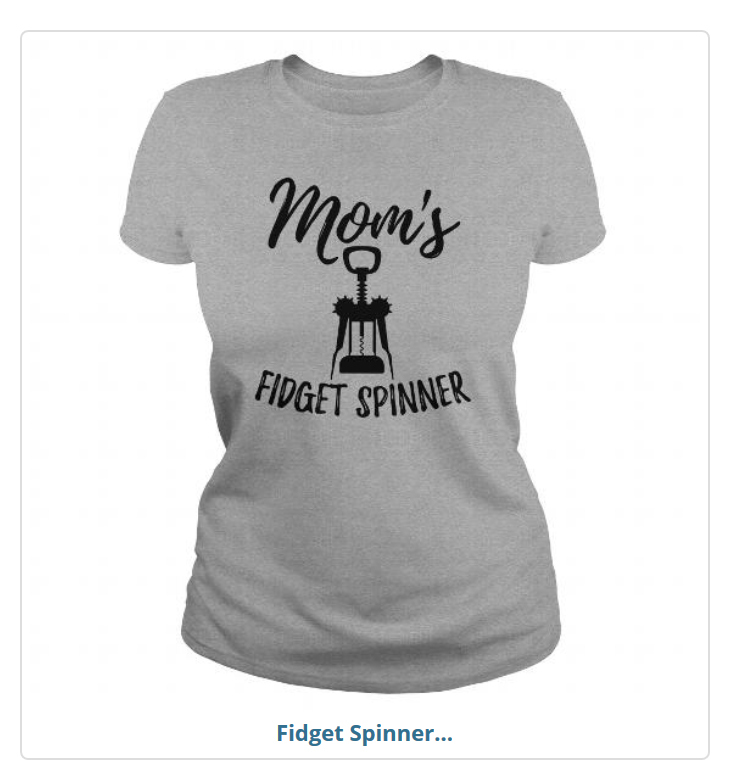 Then click “Sign Up” in the left sidebar. Upload your photograph. Ideally, your photo should be one of you looking head on into the camera, with your hair pulled back so it doesn’t get in the way of the imaging technology. In order to properly apply makeup like lipsticks, eyeliners, eye colors and so on, the program needs to know exactly where those things are. Since the program can’t programmatically recognize where these things are, you need to tell it. 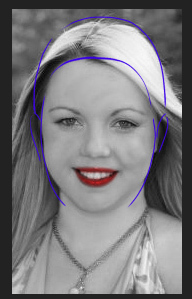 You do this by clicking on the various areas of the face as the program tells you where to click. For example, here you need to click on the right corner of the eye. Then show where the eyebrows are. You’ll also be asked to identify the lips and teeth. Go through this process for each facial area required by the program. The first tab you land on upon completing setup is the lips tab. 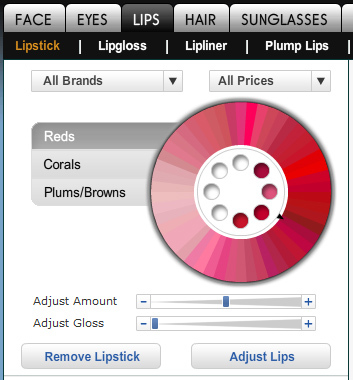 Here all you need to do is pick a lip color and it’ll put it on your lips, much like testing out lipstick. A sample is then given. You can use lipstick, lip gloss and a number of other effects by moving through the taps in the top navigation. To change your hair style, click the “Hair” navigation. Then choose one of the many hair styles available. 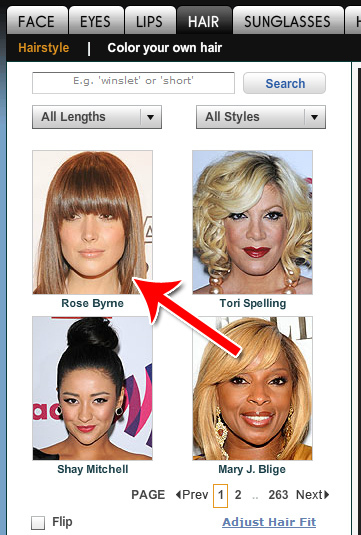 You can find hairstyles by typing in search terms, by length, by style or just by clicking “Next” to browse through their catalog. 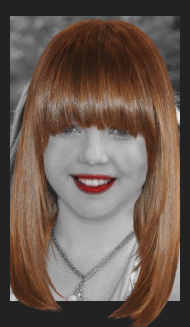 Once you select a hairstyle, it’ll be displayed on your picture. 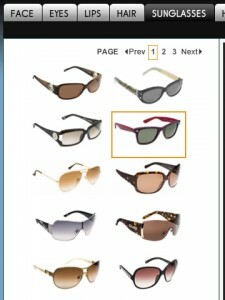 Once you select a pair of sunglasses, you’ll be prompted to select the size and angle of the sunglasses. Then you’ll be presented with what you look like with sunglasses on. Want to make your eyes brighter? Or perhaps you’d like them to be a completely different color. 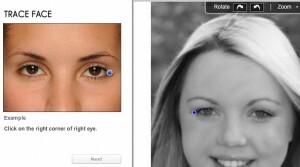 You can do so with the eye color tools. Click “Eyes” in the top navigation bar to go to the eye edit page. 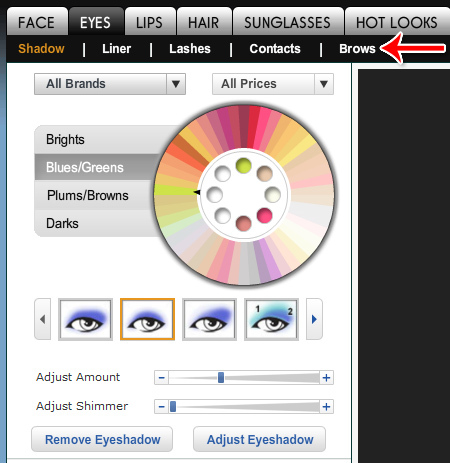 Select the area of the eyes you want to change, such as liner, lashes or eyebrows in the sub-navigation menu. 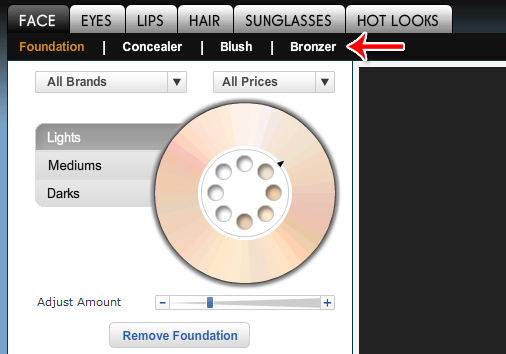 Then use the palette to select colors and other options. You can also use Taaz to apply foundation, flush your cheeks and change your skin tone. Click on “Face” to get started. Select the kind of effect you want in the sub-navigation menu, then use the palette to make your specific adjustments. Taaz has all kinds of effects you can take advantage of to give yourself a virtual makeover. You can change just about any area of your face. We’ve gone over how to change your hair, color your lips, enhance your eye color or eyebrows and apply foundation. 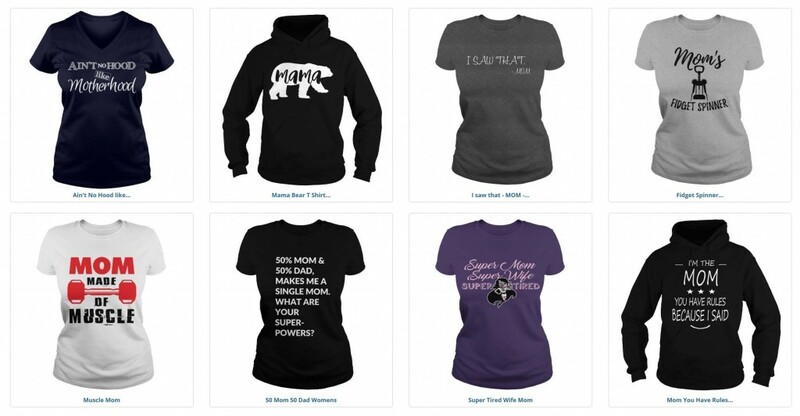 There’s a whole lot more you can do with the software if you take some time to get to know it.